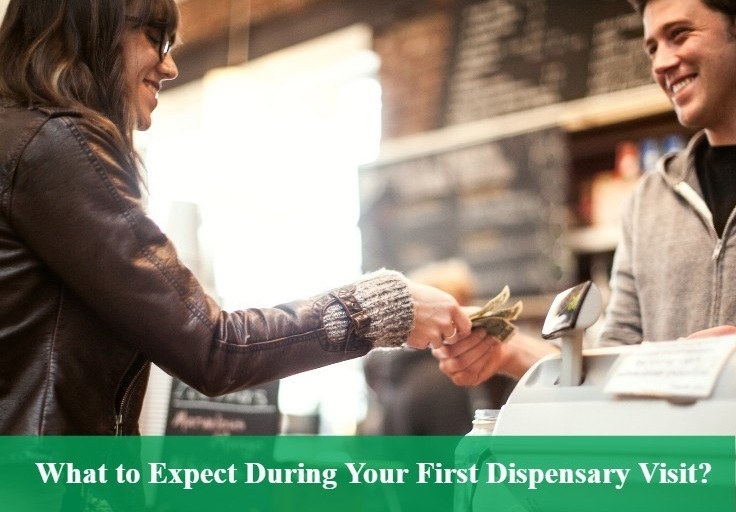 Embarking on your first trip to The marijuana dispensary can be daunting. All sorts of concerns such as anxieties and nervousness can make your first visit something to fear. However if you prepare yourself with the right research and knowledge you can turn your potential nightmare into a dream. If you are in a state that has legal recreational use of marijuana then do your research into your city’s allowances. If you are in a state that only allows medical marijuana then you will have to obtain a medical marijuana card an register (each area will have its own set of regulations) before purchasing marijuana. Once you are ready to head into your first marijuana dispensary the following tips will assist you in making it a smooth experience. There is a wide variety of strains out there, each with varied effects and experience to offer. These different strains and cannabis forms can be confusing if you don’t know what any of it means. If you are in consultation with a doctor, you may ask him or her for assistance on what type of strain or form to choose. Staff at dispensaries are very well versed in the different strains and have a wealth of knowledge and experience to share on the matter. It would be further beneficial to do research online as there are many reputable sites that share knowledge on the topic. It is important to know that there are strains that can cause intense bodily highs; sending your physical body into a stupor and other strains with a higher psychosis effect. There are strains in the happy medium as well, and strains that cause relaxation without sending you into the comfortably numb faze. For first time cannabis users that are prone to nervousness or anxiety, they should choose a strain with a lower percentage of THC and a more cannabidiol (CBD) dominant percentage. Some illness require a boost in appetite, for example those experiencing the effects of chemotherapy. For those needing such a boost, strains can be found that are used specifically for their appetite boosting properties. When visiting a marijuana dispensary for the first time, you will find a wide range of options to choose from. These options extend beyond the varieties of strain; they include paraphernalia, forms and quantities as well. There are many factors that determine the quantity of cannabis to take. It is always a good idea for first time users to take a little first to gauge their tolerance level. Additionally, the form of marijuana and strain will effect how much marijuana to consume. For example, many dispensaries have a range of edibles on offer. Edibles are a gentle way of ingesting cannabis however the high can last for quite some time. The high also takes some time to kick in and can often be quite a strong experience. If you do opt for edibles for your first time in a cannabis dispensary then start with a small portion and you may adjust from there. Again, the dispensary should have knowledgeable and friendly staff readily available to assist you in choosing your quantity of marijuana. Popular forms of marijuana include oils, vaporizers and creams. Oils are a pure way of ingesting marijuana however as a first time dispensary visited you should know that there are different quality oils. The best is the most purest- as your dispensary staff to explain how the oils are made. If the staff members are unsure on the details it is best to find a dispensary that can offer transparency and expertise. Vaping is a popular alternative to smoking. Vaping works by using a higher temperature and users do not inhale smoke. This manner of ingesting marijuana delivers an instantaneous effect and allows the high to last for several hours. It is important to note that each dispensary will have a unique set of products. If you want to have a heads up before arriving at a dispensary, then you can call beforehand to ensure the dispensary has exactly what you are looking for. It is imperative to know the laws of your specific area. January 2017 saw the passing of Amendment 2. This heralded the dawn of a new era and brought Florida medical marijuana freedom. Throughout the United States, marijuana is still illegal under Federal State Law. Users who are wishing to fly across states with cannabis should be cautious to do so and should first investigate the airport laws as well as the different state regulations. Marijuana dispensaries are required to review proper identification of customers wishing to purchase cannabis and cannabis products. Some regulations require potential custermers to have a recent medical evaluation as well. When you are entering a marijuana dispensary for the first time, keep in mind that the dispensary is a far cry from the dingy pot shops of 90’s B grade Hollywood films. Dispensaries of the current times are businesses frequented by businessmen and housewives, sportsmen and bookworms. These dispensaries are businesses that deserve respect. Leave the haggling fish market mindset at the door as you enter. The individuals working there are knowledgeable and deserve respect as well. Marijuana is slowing dissolving it’s previous shanty reputation and will continue to develop in reputable society and people acknowledge the plant for its value. Visiting a marijuana dispensary for the first time can be a rewarding experience and the dawn of a new era of health and wellness in life. By doing adequate research and keeping and open mind, you can find the perfect dispensary, strain and method for making the most of your first marijuana experience.